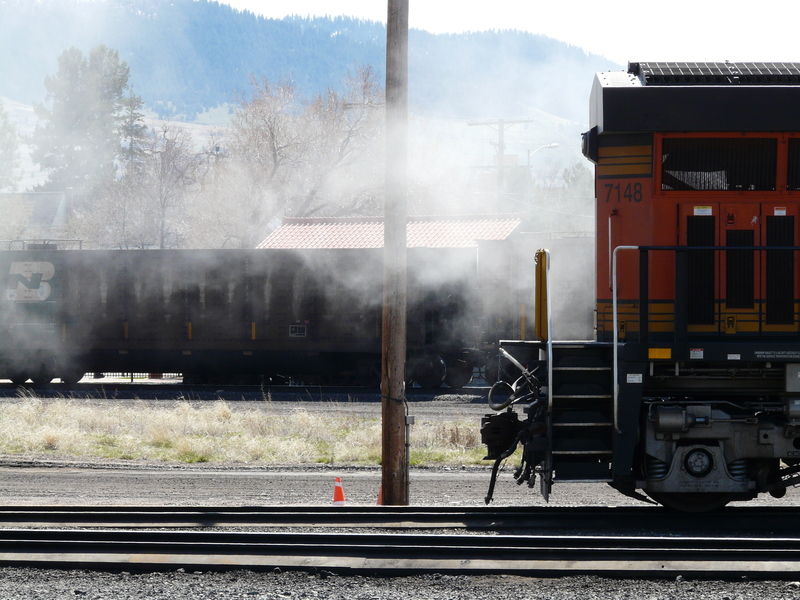 Today something happened in the Missoula rail yard owned by Montana Rail Link, which should send chills down the spine of anyone who lives near a railroad used to transport fossil fuels through Montana: a locomotive at the head of an oil train caught fire. That’s right. 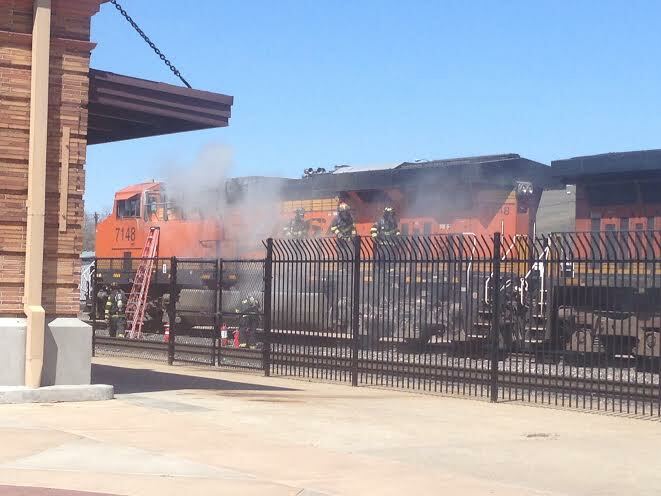 A locomotive caught fire. And not just any locomotive, but one in front of a train carrying perhaps the most flammable, explosive type of cargo imaginable. Fortunately, no one was hurt, and the locomotive was swiftly removed from the oil train and moved off to the side where it couldn’t catch anything on fire. I have no doubt that MRL personnel took all the safety precautions they could to prevent a catastrophe from unfolding–and it paid off, this time. But the point remains: a train carrying oil caught fire, literally across the street from residential neighborhoods in Missoula. Today’s accident highlights the dangers associated with oil trains, but it also points to a bigger concern: as more and more trains carrying fossil fuels (coal and oil) pass through towns like Missoula, the probability of combustible accidents happening is going to go up. What happens if a piece of coal dropped from a train catches fire in the rail yard, around the time an oil train is moving through? Companies like Montana Rail Link and Burlington Northern-Santa Fe like to assure us they do their utmost to prevent accidents. No doubt this is true–but as the events of today show, accidents keep happening anyway. The fire burning itself out, with an empty coal train in the background. Sometimes accidents are difficult to bring under control, once they get started. The fire department was called out to deal with today’s burning locomotive, but because it was an electric fire the best they could do was contain it. The train was eventually pulled over so it could burn itself out, while billowing smoke wafted right over into residential neighborhoods. I hope Missoulians (and residents of every town up and down the rail lines) will keep today’s accident in mind next time they hear about coal and oil companies’ plans to bring more fossil fuel trains through our communities. Today’s accident didn’t result in a catastrophe. Next time we might not be so lucky.